We are an inclusive choir and are always happy to welcome new members. Prospective members are invited to come along to any of our rehearsals to try us out. 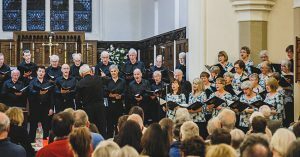 If, after you have sung with us a few weeks, you decide you would like to join the choir you will have a short 'voice check' with our musical director. This is to check your assessment of your voice is correct and will confirm in which section your voice is best suited. 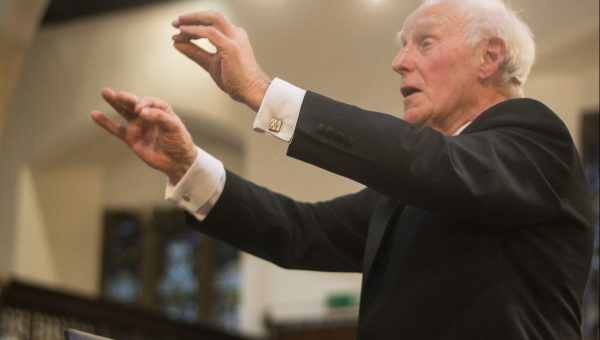 As a choir member you can expect to participate in about six concerts a year, and maybe a tour in the UK or Europe. Dates of concerts and tours are announced well in advance, so that you can pop them in your diary and spread the word to family and friends. Regular attendance at rehearsals is the key to getting the most out of singing with the choir and learning the repertoire. Rehearsals take place on Wednesday evenings (7.30-9.30) at South Craven Baptist Church, Sutton-in-Craven BD20 7LL. We meet most weeks of the year, with short breaks at Christmas and Easter and a longer break in the summer. There are usually some fundraising events during the year, such as a drinks and snacks day in Skipton Town Hall and an open house event. Money raised from these activities helps to keep the choir afloat and your help in the form of items, time or publicity will be greatly appreciated. Details of membership subscriptions can be found on our Membership page.